Thanks a lot Paul, your work is reallly inspiring to me. I am glad you like mine. awesome job on the trap details! Can't wait to see more. What color did you use for the tube stripes? Looks like a more vibrant blue than I'm used to... or maybe I'm just tired. Thanks Carsten more caming real soon . The Blue i used was Humbrol gloss #14. Wow...what a great piece of work. I love it. Cheers budd, thank you; your words really encourage me to keep improving. 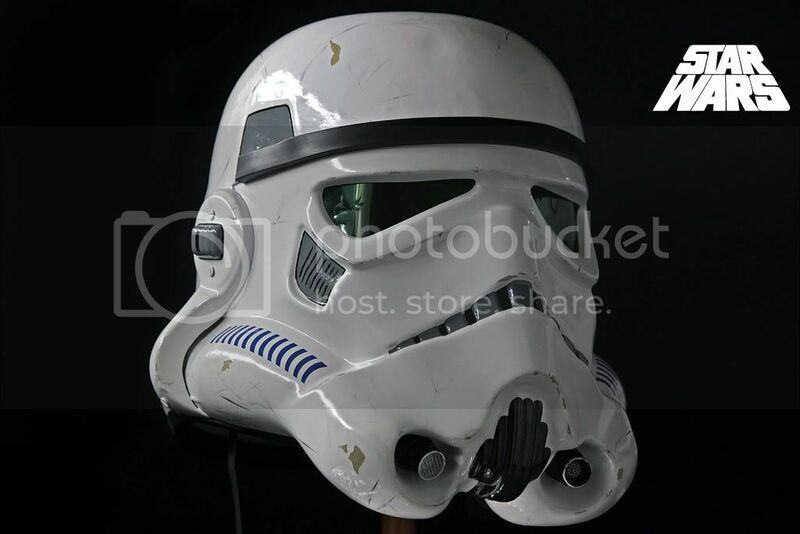 That's looking awesome... insane how much those black marks changes the look for the better. Wow, that is insane. 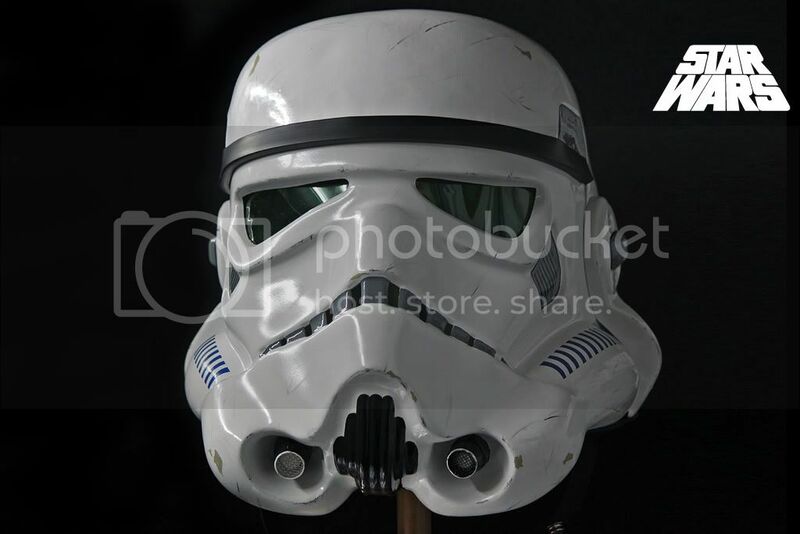 This is the way to make a stormtrooper helmet. 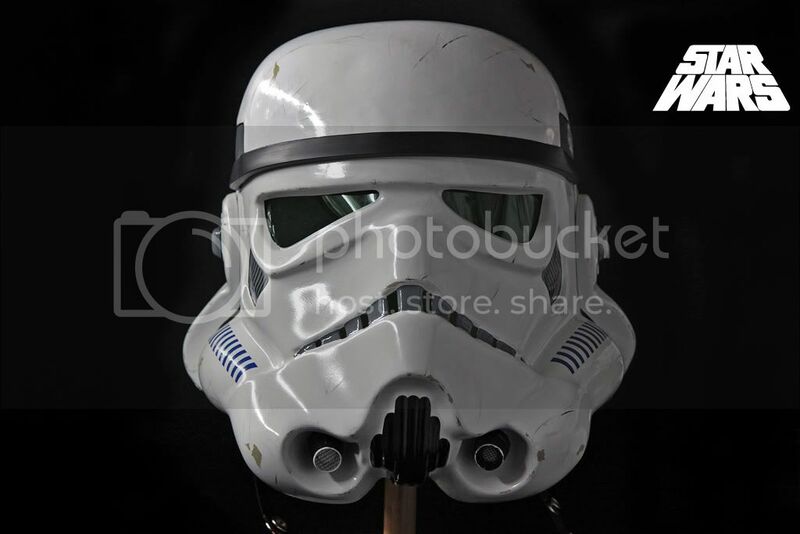 You did a fantastic job on this ANH helmet! I especially love the work you did on the trap details and the tube stripes! You did an excellent job on the weathering as well! A very fine helmet all around! Also noticed that he listed the various Humbrol colors he used pretty early in the thread, before I asked... I must have missed it at that time. D'OH. Related to the weathering I used differents pieces of black plastic from the Neck trim and brow(to achieve different strokes and intensity). I also use in a smaller amount charcoal for remark certain features of the helmet. The reason I used this materials are because I think the results are convincing and if you get tired in time they are very easy to remove from any surface. PS if you guys are interested in any other angles in particular I can take more pics if you wish. Sorry, completely missed it on my previous read throughs but thanks for pointing it out and thanks for the info Armando. Superb Armando! Top notch work as always! That looks bloody Fantastic mate! I forgot to add, I love the photo's.... What set up do you use? Thanks a lot Mark. 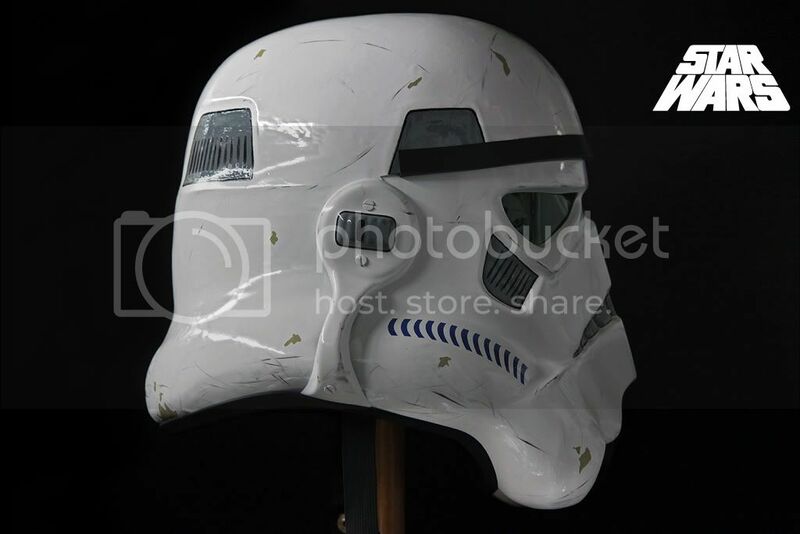 This is something I really wanted to do long ago but in away I was afraid to screw the helmet pristine look. 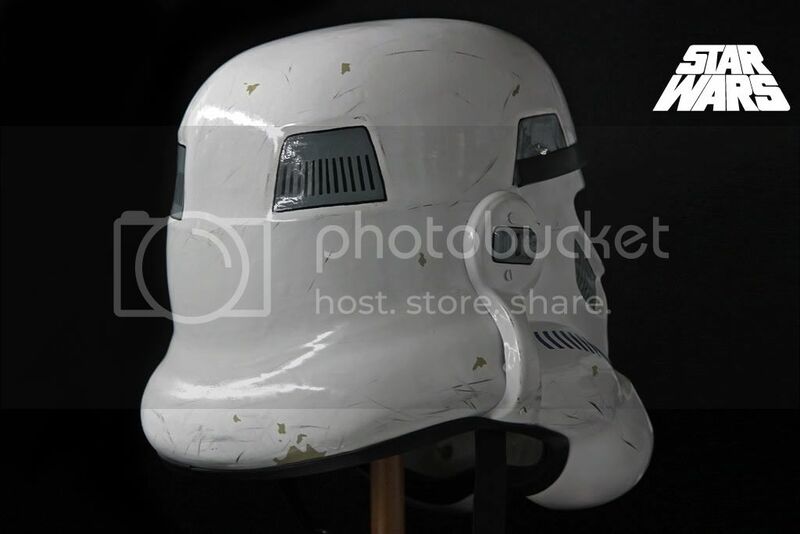 The good thing is that the weathering is easy to remove if desire. For the photos I used a canon T1i with a macro EFS 55-250 mm, the helmet was placed at a distance of 2,50 meters from the camera. What back ground, lights etc. I really like the look you get in your photography. I use a canon 50D with a 24-105mm l is lens but find if hard to get the same look.